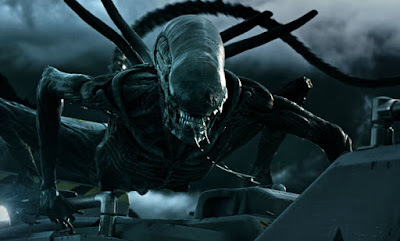 Ever since the hap hazard sequel to Prometheus, fans of the Alien franchise have been wondering what would happen with the decades old series. Now, breaking from CinemaCon via numerous sources, it has been revealed that the home of Mickey Mouse has decided to continue on with more movies about the acid bleeding Xenomorphs. They also announced plans to continue on with more Planet of the Apes movies, an extension of the Maze Runner franchise, and numerous other. To some, this might come as great news. To others, like myself, I'm not quite so sure that we need more. After the mediocre release of Covenant and the strange way the mythology was treated, it might be time to leave it alone for a while. But opinions don't matter. We're getting more Alien. With word breaking on Twitter and other movie sites, no one can answer the central question. Will Ridley Scott get to continue on with his vision or will it be handed off to someone else? Could Neil Blomkamp finally get his direct ret-conned sequel to Aliens? After the dwindling numbers and critical lashing of Covenant, it wouldn't be surprising if they choose to go in a different direction altogether. No matter what, it'll be interesting to see which way they go with this and how they plan to extend Planet of the Apes as well. There is no official word on when any of these will happen yet, but with the transfer of all these Fox properties to Disney, you can be sure it won't be long.